Today is the first Monday in October, one of the most important days of the year. Why? Because the United States Supreme Court convenes on the first Monday in October. The cases that reach the Supreme Court impact all of us for many years. What do you think is the most important issue of the day? Health care? Immigration? Campaign contributions? Privacy? Whatever the issue, I hope that wisdom prevails. 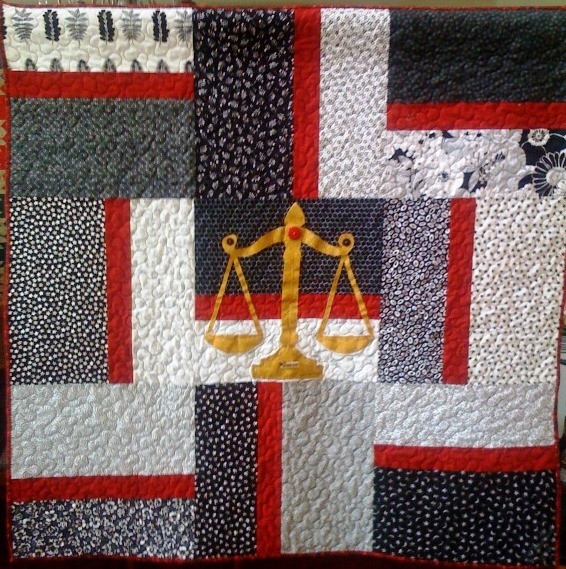 My quilt Subtle Struggle Toward the Dream #1 reminds that there remains much work to be done to make the United States a more perfect union.